The scale-out nature of HCI is ideally suited to a “land and expand” strategy since customers can start small and easily expand. 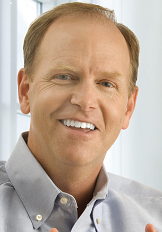 Lee Caswell is Vice President of Product, Storage and Availability Business Unit for VMware. In fact, the mission-critical label is used by vendors, and particularly storage vendors, to describe proprietary, expensive hardware that is rarely used for these new systems of engagement. What follows here is a construct for how to think about mission-critical workloads and a framework for how to introduce modern hyper-converged infrastructure (HCI) into mission-critical digital businesses. Mission-critical is most commonly defined in the enterprise as a system that is essential to the survival of a business or organization. The mission-critical distinction used to be an important step up from “business critical systems” that were merely important but not essential to the business. But in the digital era, what application isn’t essential? For example, a fantasy football application may not seem mission-critical to a nuclear reactor operator. But to fantasy football fans, an outage can result in real losses and to the app provider, it can mean digital death. In fact, digital transformation has swelled the ranks of applications considered mission-critical. This expansive view of mission criticality is at odds with the traditional IT view that reserves mission-critical status for a few sequestered internal systems of record, such as payroll, that rely on custom hardware or software solutions that are far too expensive for the majority of businesses. This sanctified world is populated with expensive mainframe applications, UNIX servers, and SAN systems – but this is the past, not the future. The future of modern infrastructure is highly available hyper-converged infrastructure that offers a common operational model for compute, storage, networking, and even cloud resources from a single console powered by industry standard servers. The modern HCI software stack runs on any server hardware, even in the public cloud, to give operational leverage for digital businesses. What’s been needed is a way for digital companies to map applications to modern infrastructure over time, knowing that all applications require high availability while only a small portion will justify the proprietary hardware formerly dubbed mission-critical. This new construct comprehends that modern HCI systems are typically first deployed at small scale and then expanded. We have observed a repeatable pattern of HCI adoption where customers initially characterize HCI using a single application and then move to support mixed applications. Concurrently, we see that customers first deploy HCI for applications with low data criticality and then gradually introduce more critical data over time. The scale-out nature of HCI is ideally suited to this “land and expand” strategy since customers can start small and easily expand. The earliest applications for HCI have been virtual desktops and test/dev. For these single application environments, the criticality of the infrastructure data itself is low but the need for uptime is paramount. Any financial desktop administrator supporting a thousand VDI clients knows that the slightest variation desktop performance or uptime instantly leads to hundreds of irate user calls. For these single workload environments, infrastructure generalists can deliver a mission-critical experience at a fraction of the cost of legacy proprietary systems. Once the mission-critical performance, reliability, and availability of HCI is proven in single application environments, users quickly expand the footprint to more generalized workloads typical of retail and branch office (ROBO) installations or management clusters. While the criticality of the data in these environments remains relatively low, the need for reliable uptime is unchanged and the mixed workloads simplify workstreams even further. Retailers have been particularly aggressive with HCI because there are no storage admins sitting in remote stores and because cost savings mount up dramatically when multipled across hundreds or thousand of stores. The next wave of HCI adoption, namely into the data center proper, is where enterprise value, full HCI stack support, and a strong partner ecosystem is critical for success. There have certainly been a number of early movers in the HCI space, but this next wave of adoption is one where we see the playing field narrow significantly. In this dynamic environment, businesses are looking to get leverage in operating models and by consolidating vendors. For these risk conscious organizations, the complete software stack is the primary adoption consideration backed by a a proven track record of providing a mission-critical experience for the most difficult applications. Not all applications will shift to HCI, however, in spite of the operational and CapEx savings. Cold storage will remain with NAS or cloud vendors while bare metal, UNIX and mainframe applications will remain on legacy SAN hardware. But these will be the exception in systems of engagement and explain the triple digit growth of HCI compared to a flat storage market. The idea of providing a mission-critical solution across all infrastructure resources is a new concept. Traditionally, mission-critical needs were addressed independently by compute, storage, and network providers. HCI offers a unified approach to reliability and uptime where users can configure, manage, and debug resources in software using a common control plane. This new operational model can then be extended to the public cloud. In fact, unless companies adopt a common software stack across the hybrid cloud, then adding the public cloud as a new resource will require yet another management team and a separate control plane. Today’s digital business broadly expands the scope of applications that are ‘mission-critical’ because systems of engagement are now the essential value of modern business. These new applications are frequently tapping into modern hyper-converged infrastructure rather than traditional silo architectures for mission-critical services that can be managed by generalists. The rapid adoption of HCI follows a new operational model that started with server, storage, and network resources and now is extending to HCI running in the public cloud. For businesses looking to find operational leverage and CapEx savings, HCI offers a land and expand model where they can start with single applications with low data criticality and then expand to multiple applications with more critical data as they gain experience with the operational benefits of HCI. For businesses looking to digitally transform their business, HCI offers a new path to mission-critical results that defines the mission-critical modern data center.